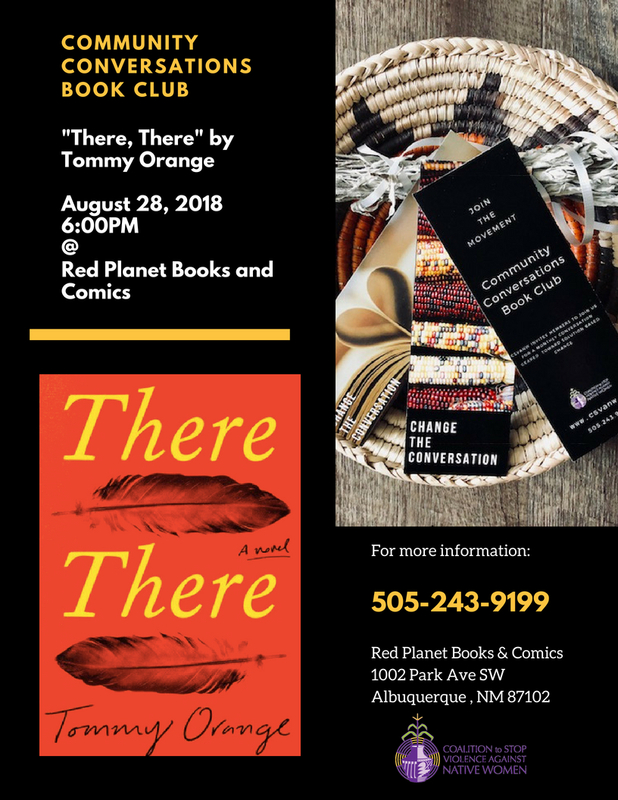 In August, CSVANW is reading, “There, There” by Tommy Orange. “Fierce, angry, funny, heartbreaking—Tommy Orange’s first novel is a wondrous and shattering portrait of an America few of us have ever seen, and it introduces a brilliant new author at the start of a major career. There, There is a relentlessly paced multigenerational story about violence and recovery, memory and identity, and the beauty and despair woven into the history of a nation and its people. It tells the story of twelve characters, each of whom has private reasons for traveling to the Big Oakland Powwow. Jacquie Red Feather is newly sober and trying to make it back to the family she left behind in shame. Dene Oxendene is pulling his life back together after his uncle’s death and has come to work at the powwow to honor his uncle’s memory. Opal Viola Victoria Bear Shield has come to watch her nephew Orvil, who has taught himself traditional Indian dance through YouTube videos and has come to the powwow to dance in public for the very first time. There will be glorious communion and a spectacle of sacred tradition and pageantry. And there will be a sacrifice, and heroism, and unspeakable loss.